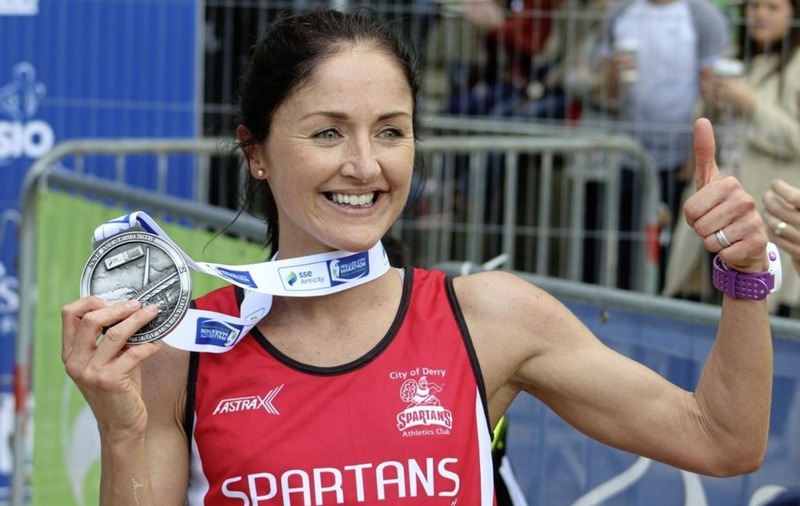 CATHERINE Whoriskey showed character and determination to score a popular home victory in yesterday's SSE Airtricity Walled City Marathon in Derry. Over 1000 runners took to the streets of the north west's capital, with perfect running conditions prevailing until well after most of the field had made its way home to the finish in the iconic Guildhall Square. Whoriskey had to ward off a strong challenge in mid-race by defending champion Pauline Curley before breaking the finish tape in two hours, 50 minutes and 44 seconds. It was the City of Derry Spartan's second marathon this year after running 2:48:40 in Seville back in February. Curley, who represented Ireland at the Beijing Olympics in the event, held on to take second in 2:53:07. Kenyan Salomé Kimutai filled the final podium spot in 2:56:35 to repeat her finish position in the Belfast Marathon last month. The men's race was an all-Kenyan battle. Dan Tanui went one place better than last year by coming home clear in 2:25:25. 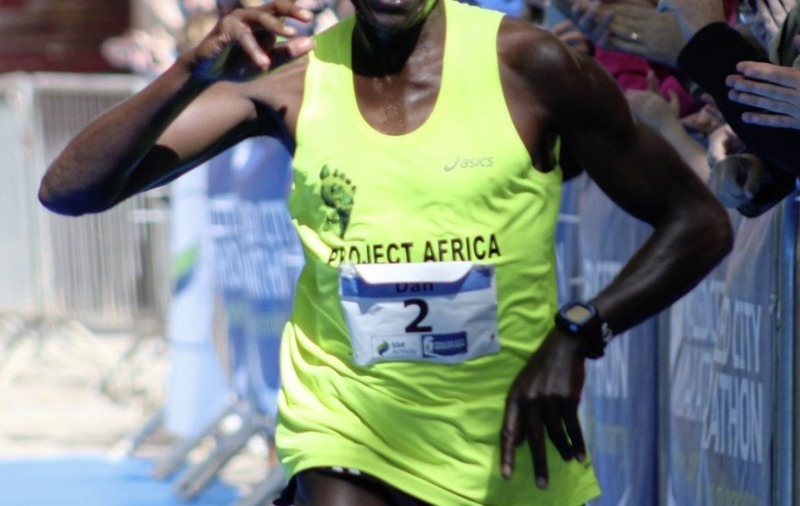 Former winner Freddy Sittuk had targeted this race but had no answer to his younger rival as he had to settle for second almost a minute back in 2:26:13. Emmanuel Melly made it a clean sweep of the top three spots for the men from the Rift Valley with a 2:28:53 timing. North Belfast Harrier Andrew Considine tapped into impressive reserves of energy to take fifth in 2:40:50 and the honour of first Irish athlete across the line. Meanwhile, track and field action continued to heat up with some of Ireland's top athletes putting in good performances on the opposite sides of the Atlantic. European bronze medalist Mark English opened his outdoor season with a fine fourth place in the 800m at the adidas Boston Boost Games. The Letterkenny man clocked 1:46.06 behind Canada's Brandon McBride who won in 1:45.36. Paul Robinson showed that he is getting back to his best after a couple of years sidelined by injury when he was timed at 3:38.16 over 1500m in Nijmegen, Holland. It was the first sub 3:40 clocking for the distance by an Irishman for over three years but placed him only eighth behind Brazil's Thiago André (3:35.28). Ben Reynolds became the eighth athlete to meet the NI Commonwealth Games standard when he won the 110m hurdles at Aarhus in 13.67 (+1.0) seconds. That bettered the required mark by 0.13 of a second but also means that the North Down athlete may have to better the standard a second time to ensure selection for the Gold Coast next spring. Brian Gregan was one of a number of Irish athletes in action at the Putbos Memorial in Belgium. The Clonliffe Harrier won his 400m race in 45.90, not far off the World Championships qualifying mark of 45.50. Andrew Mellon of North Down finished sixth in the same race in 47.32, while Ballymena's Craig Newell clocked 47.87 in one of the other 400m races. Jason Harvey was third in the 400m hurdles in 51.97, outside the 50.15 Commonwealth standard. Ulster athletes were also in impressive form at the Irish Secondary Schools' Track & Field Championships in Tullamore. Bangor Grammar School's Aaron Sexton turned in a sprinting master class setting records in both the intermediate boys' 100m (10.77/+0.5) and 200m (21.43/-0.8). In the senior girls' age group Strabane Academy's Sommer Lecky soared to a record 1.81m high jump as well as taking the silver medal in the long jump with a 5.62m best effort (+2.4). Belfast High School's Ellie McCartney sailed over the bar at 3.66m for a new record in the pole vault.